A city rich in history, tradition and Southern charm, Charleston, South Carolina, is the perfect place to call home! 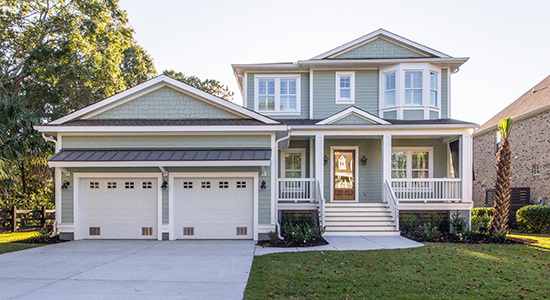 With David Weekley Homes Build on Your Lot program, Homebuyers in Charleston have the best of both worlds: the home of your dreams, built on a location you love. From customizable floor plans to inspired Customer Service, we make the home building process about what matters most: you. With over three decades of building excellence, David Weekley Homes is the top choice in Charleston for a quality-built new home. 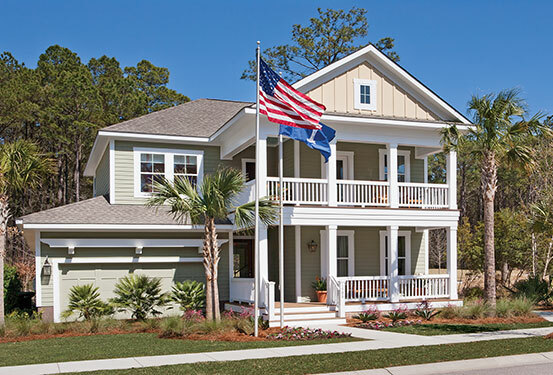 Our Build on Your Lot program in the Charleston area offers custom homes affordably priced from the low $200s. At David Weekley Homes, we make homeownership dreams come true. Our Build on Your Lot Executive Collection program in the Charleston area offers custom homes on your lot or ours in the areas of Charleston, Daniel Island and Mount Pleasant. 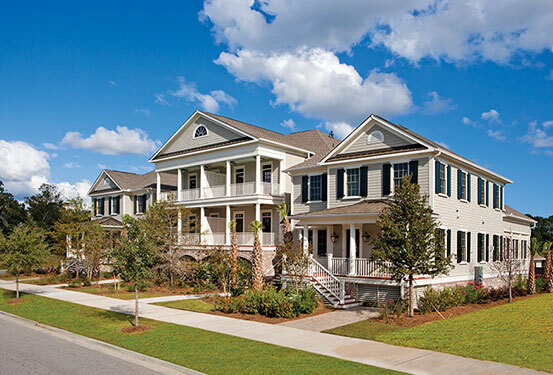 No matter where you have land in the Lowcountry, David Weekley Homes has the ideal floor plan for your family. Please call 843-654-5576 for an appointment. Your home should reflect your taste and lifestyle, not just what some home builder says is “standard.” Our floor plans are highly customizable, giving you a home that truly fits your family. Beyond the curb appeal and dramatic interiors, we want to give you a home that looks and lives well. 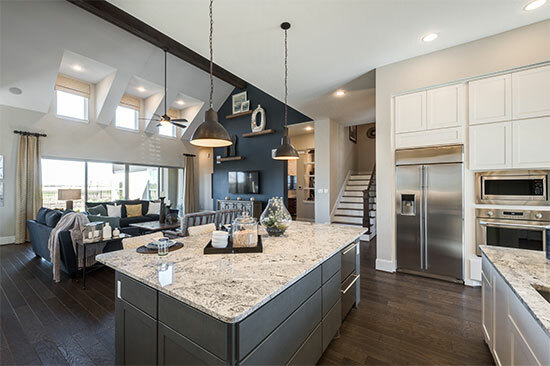 With our energy-efficient EnergySaver™ homes and commitment to innovative construction techniques, David Weekley Homes takes pride in building you a home you’ll be proud of – inside and out. 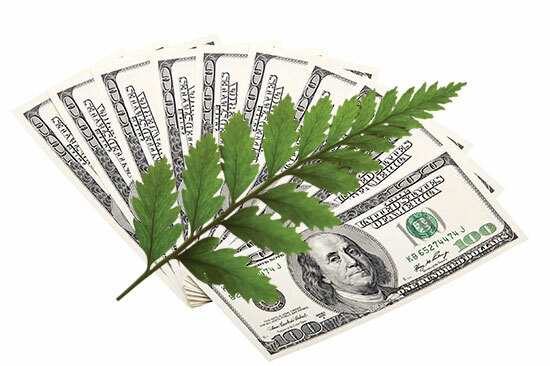 Having an energy-efficient home is not only about helping the environment, it’s also saving you money. Going Green Never Sounded So Good! At David Weekley Homes, we are committed to minimizing our environmental footprint. Our EnergySaver homes are friendlier to the environment and your pocketbook. Lower energy bills actually make an EnergySaver home less expensive to own. In fact, our homes can save in heating and cooling energy usage over a similar home built to 2006 building code standards. David Weekley’s Custom Home Collection offers a personalized home for every budget. With a David Weekley Custom home, you can rest assured you're getting the best in Design, Choice and Service. From our top-of-the-line Custom Classics™ to our affordable Imagination Collection, we’ve found a way to design homes that live, look and feel far above their price range. All of our homes are designed and built with the same solid craftsmanship and wonderful features that David Weekley homes are so well known for. Enjoy the countless Custom Choices™ to personalize your home, plus the attention of your Personal Builder℠ to make your dream home a reality. Your home should reflect your tastes both inside and out. 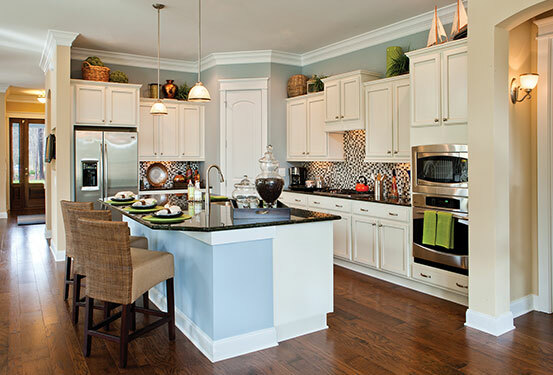 David Weekley Homes offers a variety of elevations, options and finishes that you can customize to fit your style. A striking exterior gives people a glimpse of the beauty waiting inside. David Weekley Homes offers a variety of unique exterior features to personalize your home. The options don’t stop at the front door. Outdoor living options, like a built-in grill and covered patio, give you a place to entertain, relax and enjoy time together. Stunning views, open spaces and beautiful architecture – LifeDesign℠ is just one of the unique concepts at work in a David Weekley home. There’s more to great design than what meets the eye. Comprised of Sight Lines, Traffic Patterns, Room Placement, and Windows & Light, David Weekley’s exclusive LifeDesign creates a Build on Your Lot home that feels open, looks more spacious and is easier to move around in. Our new homes are loaded with standard features. Save your money for furniture, because so many features are included. More Features – It's Included! At David Weekley Homes, offering our Customers more will always be our goal. One way we do that is by giving you more standard features than our competitors. David Weekley Homes has over three decades of building dream homes. You want a builder you can count on and who will be there for years to come. With so many details and steps involved in building a home, you can count on David Weekley Homes to get it right the first time! 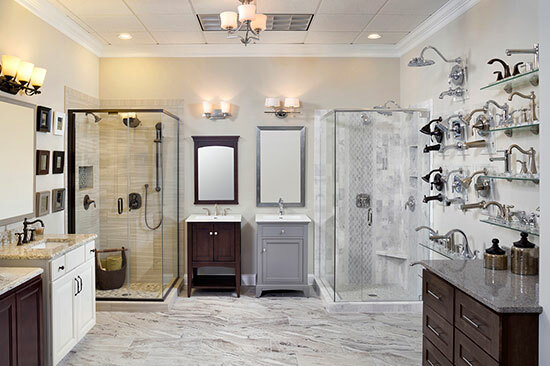 From the ideal floor plan to the color of your bedrooms and bathrooms, we’re here to help you design a home to fit your individual style and budget. At David Weekley Homes, our Build on Your Lot experts in Charleston know the ins and outs of our hundreds of award-winning floor plans. Want a pre-wired media room in place of the fourth bedroom? No problem! Our floor plans give you the flexibility to change and add features as you see fit. We are here to help you choose and customize a floor plan to fit the way you live. Nothing is more important to us than Customer Satisfaction, and nothing makes us happier than seeing a Homebuyer’s dreams turn into reality! In addition to our vast selection of unique floor plans to browse through, a David Weekley Homes Build on Your Lot professional in Charleston can help you take a floor plan and customize it to fit your individual needs. Many custom builders will try to dazzle you with blueprints and renderings, but there’s nothing like being able to touch, feel and experience a floor plan yourself. David Weekley has model homes in Charleston built for you to tour, so you can enjoy all the beautiful design features our plans have to offer firsthand. 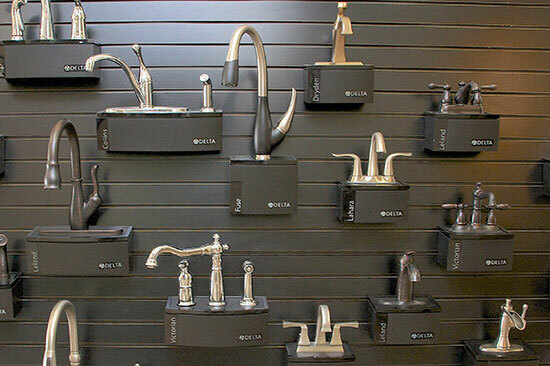 Our Design Center in Charleston has everything you need to bring your new home to life! It’s filled with thousands to Custom Choices™ to give your home the personal touch that it needs. From hand scraped hard wood floors to rich cabinetry and elegant fixtures, you’ll find everything under one roof in our Charleston Design Center and all with the help of a Professional Design Consultant to tie it all together! A survey of your land is essential before the building process can begin. Through our Build on Your Lot program in Charleston, we will conduct a professional survey of your land to determine property limits, as well as plot the location of the house, garage and other features. We provide a tree survey to gain useful information about the existing trees on your property, such as the species, physical measurement, ages, overall health and life expectancy. Information like this helps our Build on Your Lot experts make informed decisions about which trees we can keep and which ones are potential problems. We want to make your home building experience to be free of surprises – especially when it comes to pricing. Fixed pricing from the start means there isn't any question about how much you will pay to close on your new home. We explain the total cost before you sign on the dotted line, eliminating any unexpected bumps in the road. We have relationships with Preferred Lenders who can help our Homebuyers determine their financing needs. A Loan Officer can guide you through the entire process, from initial application until the closing of your home. For those interested, David Weekley Homes also accepts cash contracts. The paperwork is signed, so the fun begins! Now you’ll really start to see your dream home become a reality. Your Personal Builder℠ is dedicated to keeping you informed throughout the building process. 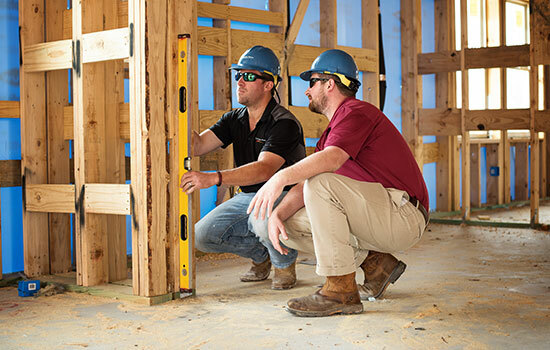 Depending on the construction stage of your new Build on Your Lot home, you’ll meet up to four times with your Personal Builder: at foundation, framing, drywall and final walk-through. When you have questions, your Personal Builder has answers. It’s just another way we personalize the home building experience and offer great Customer Service to you. Want to keep up with your home’s progress at anytime? When you sign your contract, you will be given access to your buyer website, MyDWHome.com – a great resource for your new home. We give you the ability to access valuable information about your new home, view photos during the building process, schedule design appointments and even schedule warranty service appointments after you’ve closed on your home! Our construction professionals inspect the construction and quality of your home. We conduct inspections at different stages by the jurisdiction in which the home is built and your home must pass each inspection before construction can continue. In addition, David Weekley Homes has professional, third-party inspections performed on foundation, framing, mechanical systems, all plumbing systems, and all energy components. This is to verify that we are building your new home to code and have met all the necessary standards. Our EnergySaver™ Homes undergo additional inspections, specifically designed and monitored by Environments For Living® for energy-efficiency certification. At David Weekley Homes, we measure our reputation on how we treat our Customers – before, during and after closing. That’s why we dedicate an entire department to our industry-leading, multi-level, in-house warranty program. Our skilled Warranty Service Team can help you resolve construction or maintenance issues that might arise. During the first year you’re covered by our one-year limited warranty, plus the appliance manufacturers’ warranties. Our two-year mechanical systems warranty covers plumbing, electrical, central air conditioning and heating systems. Your peace of mind is what matters most. With David Weekley, you’re not forgotten after construction is over. From an oversized Owner’s Retreat to a gourmet kitchen built for entertaining, the sky’s the limit when it comes to customizing your home. With David Weekley's Build on Your Lot program, you don't have to settle for an out-of-the-box home design. Our selection of floor plans and unique FlexSpace℠ features, give you a new home designed to suit your lifestyle. Your home should change with your needs. Our floor plans give you the flexibility to change and add features as you see fit. Our exclusive FlexSpace equips your home for life’s inevitable changes. A Bonus Room can serve as a home theater, game room or extra bedroom. A Retreat can be used as a homework area, playroom or hobby room. The possibilities are endless! Your Plan or Ours – The Choice is Yours! Have you had your dream home planned in your mind for years? Or, will you know what you want when you see it? Whatever your style, the David Weekley Homes Build on Your Lot program can build the home of your dreams with your plan or ours! No other builder gives you hundreds of custom design choices to personalize your home and offers you a variety of FlexSpace options to tailor your home to fit the way you live. As a full-service home builder, David Weekley Homes has the talent, expertise and resources to see your new home project from conception to completion and beyond. Thousands of Custom Choices™ and the assistance of talented interior Design Consultants are all under one roof. Our Design Center gives you all the options and upgrades you can imagine, with an expert Design Consultant to help you make it come to life. Designing your new home can be one of the most exciting parts of the home building process. With the help of our professional Design Consultants in Charleston, we make it easy to coordinate and create something that specifically suits your lifestyle. Jumpstart your imagination and discover the virtually limitless Custom Choices available to personalize your home. We have hundreds of Custom Choices to give your new home curb appeal. From brick colors to landscaping to outdoor living areas, the choice is yours. Many Homebuyers have several ideas about how to customize a home’s interior, but run out of ideas when it comes to creating a striking exterior. David Weekley Homes offers a wide variety of Custom Choices to make your home’s outside just as exciting as the inside. Choose a brick color that gives your home a personality or create the perfect Outdoor Living space for your family. With all the available options, you’ll soon discover your home’s beauty from the outside in! You’ll be amazed at how stunning your new home will look with all of our interior choices. Whether it’s a paint color for your gourmet kitchen or stunning crown moulding for your family room, we have the Custom Choices to make your dream home a reality. 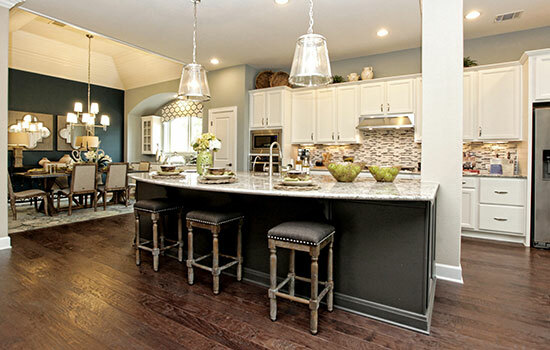 At David Weekley Homes, our goal is to help make your home a reflection of your individuality. 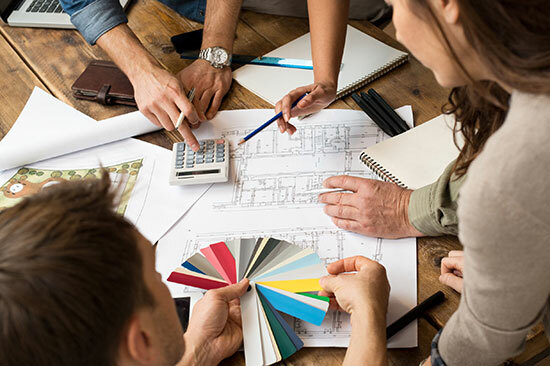 With hundreds of interior design choices available – from flooring and kitchen countertops to bathroom fixtures and paint colors – we make it simple to find what you need for creating the home of your dreams! It means floor plan, city codes, inspections, foundation, landscape design… in other words, we will do everything and are a complete turn-key home builder! Lot preparation, Architectural Control Committee or Home Owner's Association approval, home design with an in-house architect, all permits, engineering, in-house financing, design options in-house with a professional Design Consultant and more! This is why we are very comfortable calling ourselves a full-service home builder. 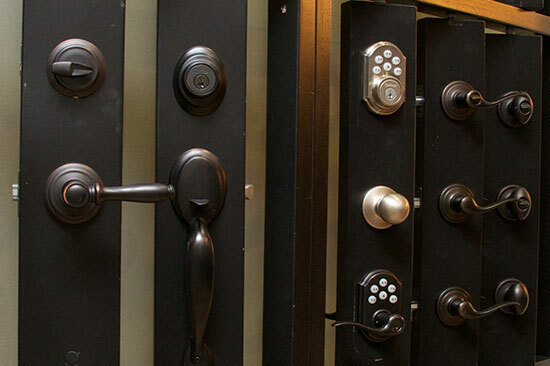 We have a contract period during which we have various meetings to get to the bankable cost of your home. That contract period can take anywhere between 45-90 days. Allow another three to four weeks to close on your construction loan. Construction of your home can depend on many of variables such as weather, labor, materials, inspections, size of the home, customization to the home and more. Typically, it takes between four to seven months from start to finish. Your Sales Consultant can help create a timeline that applies to your home. This really varies based on area, floor plan, foundation requirements, plan changes, upgrades and more. Once we have more knowledge of the area of town, floor plan and more, we can provide a better estimate of your home on your lot. 4. Design upgrades at the David Weekley Homes Design Center in Charleston: flooring, lighting, countertops, cabinet upgrades and more. Yes! What you see online are our most popular floor plans for an area. We have literally hundreds of plans to choose from, and we can customize those floor plans to provide the right home for your lifestyle and your lot. In many cases, you can also enjoy the outstanding quality and craftsmanship of a David Weekley built home based on your set of plans. Please bring your plan to one of our Build on Your Lot Sales Consultants and we can review it together to help make your dream home a reality. When building on your lot we have to start from scratch. If a structure exists, it needs to be demolished and removed, and the land or homesite needs to be prepared for the new home’s foundation. We have to establish utility service or re-run utility lines, test the soil, survey the property, obtain various permits and have the plans approved by the local jurisdiction. Finally, contractors typically need to make a special trip to work on a home that isn’t in an active community. Yes, depending on your specific situation we may be able to build outside of our Charleston Build on Your Lot coverage area. However, depending on the location of your land there may be an out-of-area fee. Please see your Sales Consultant for specific information.